Francis Upritchard is a New Zealand artist based in London who has achieved renown internationally for her idiosyncratic figurative sculptures. 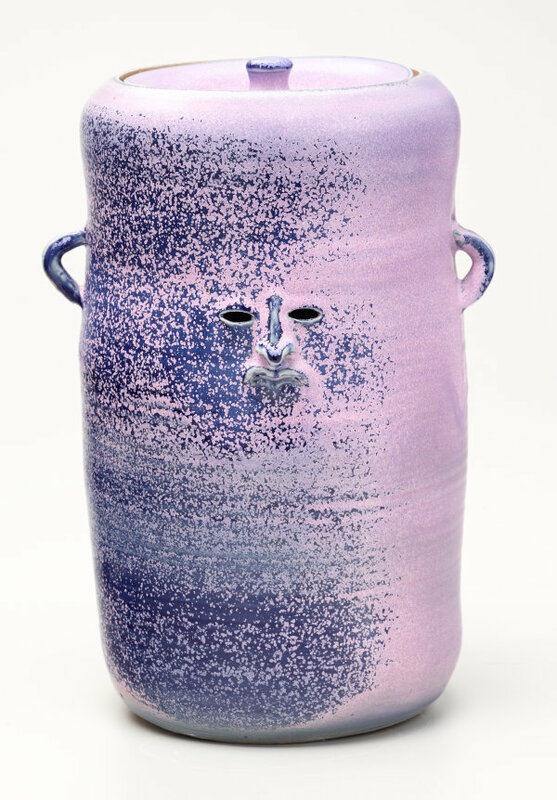 Since her emergence in the late 1990s as a young sculptor engaged with issues of cultural appropriation and imperial history, she has also drawn craft techniques and histories into her art practice and energetically flouted expectations about the place of humble and handmade ceramics within the ‘white cube’ of the gallery. This pot belongs to a group of ceramic objects by Upritchard in the collection that were produced in New Zealand and in collaboration with Lux ceramics studio in California. From a distance, these jars and vessels could be confused with the kind of 1970s studio pottery that Upritchard was familiar with as a child in New Zealand. However, as we move closer and explore the pots in the round, we find a series of faces staring right back at us. 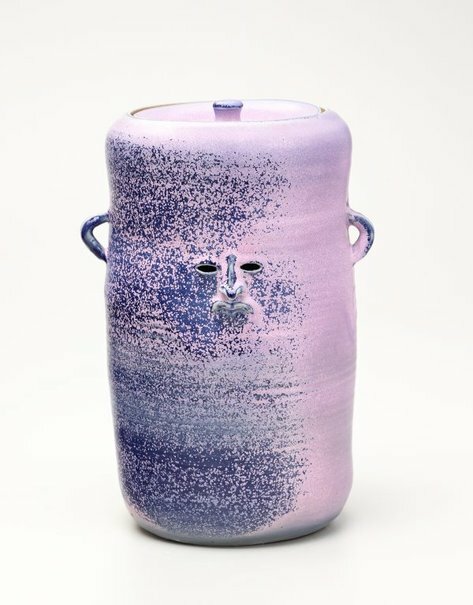 Rendering each vessel dysfunctional as a container, the eye holes and subtly limned noses and mouths imbue the pots with personality and enigmatic character. These once common objects are anthropomorphised and animated, suggesting that other beings and presences are around us, even – or especially – when we are engaged in the most mundane and essential activities.